969 Gold Coast Highway, Palm Beach, Queensland. 4221 Australia. Enfolded by lush tropical gardens, Princess Palm is an oasis retreat nestled right on one of the best white sand beaches on the Pacific Rim - Palm Beach. 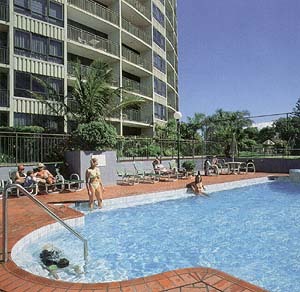 Architecturally designed to maximise the opulent views of the Coral Sea through its curved structure, this 16 storey holiday apartment complex is ready to fulfil the original dream-come-true Gold Coast holiday! Drive straight into your own undercover security parking in the basement. 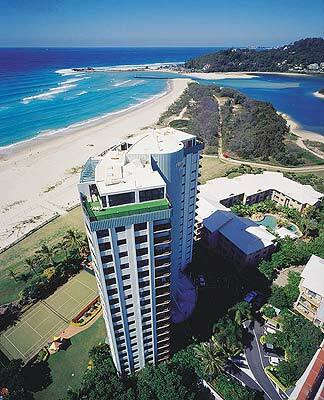 A few steps away take one of two lifts up to your fully furnished beachside apartment. Gaze down on the private full-sized tennis court and the surrounding palm trees, pool and hot spa. 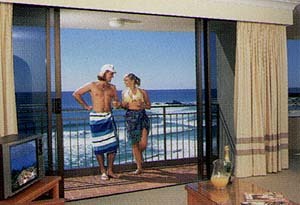 Gather on the balcony and watch the lights of Surfers Paradise twinkle over the water to the north while you plan your day trips to Sea World, Movie World, Dreamworld, Wet'n'Wild or Currumbin Sanctuary over the coming days ahead. 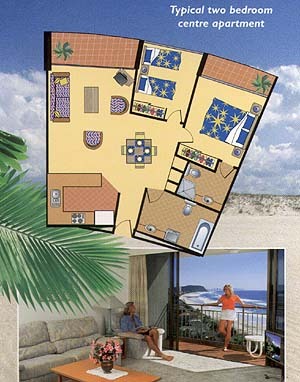 Princess Palm offers you and your family a choice of 1 and 2 bedroom beachfront apartments which are fully self-contained featuring a balcony, ensuite, bathroom, laundry, fully equipped kitchen and separate dining/lounge room. 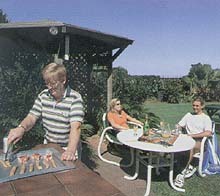 A wide choice of views are afforded depending on the floor level and aspect you desire. 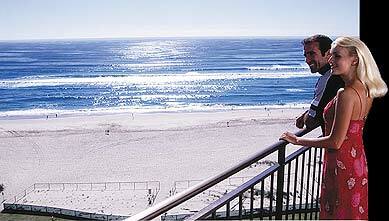 Ocean view balconies from every apartment. 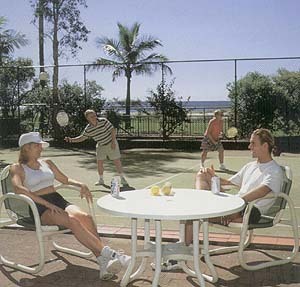 have a game of tennis on the full-sized synthetic grass court in plain view of the beach. 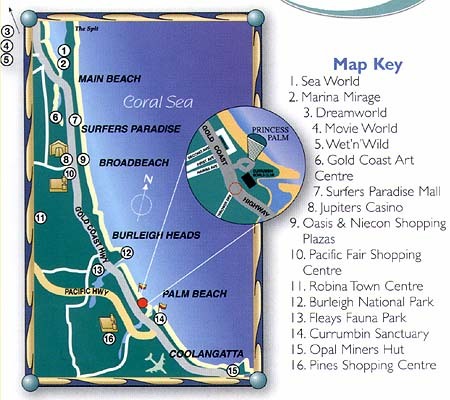 Buses will pick you up from our door and deliver you to airports (just 5 minutes to Coolangatta Airport), theme parks and other tour destinations.